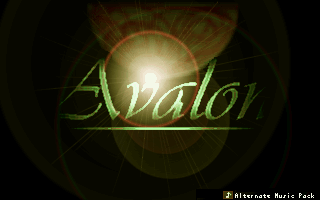 Avalon DOS is an RPG which was released in 1998 for the PC. It is a freeware game for everybody who enjoys the genre and appreciates old-school gameplay. The story is about Mace, a hero who has to save his fellow villagers. The last of humanity have stranded on a distant planet after the destruction of earth. They built a small settlement and did not expect any other hostile life to be present on the planet. But as it soon turned out, appearances were deceptive. It will take all Mace's courage and skill to face what's coming.